Reading and share top 3 famous quotes and sayings about Richard Branson by famous authors and people. Browse top 3 famous quotes and sayings about Richard Branson by most favorite authors. 1. 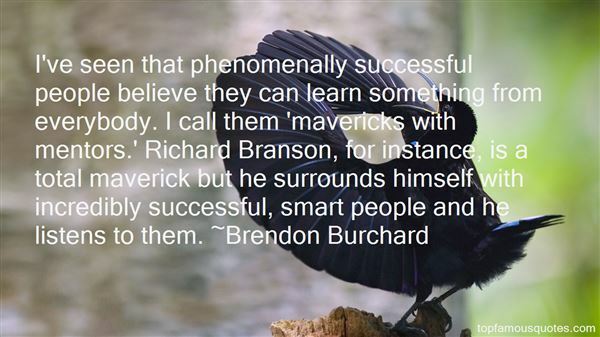 "I've seen that phenomenally successful people believe they can learn something from everybody. I call them 'mavericks with mentors.' Richard Branson, for instance, is a total maverick but he surrounds himself with incredibly successful, smart people and he listens to them." 2. "It would be rather naive to imagine that Oprah doesn't have an Earth Evacuation Plan. 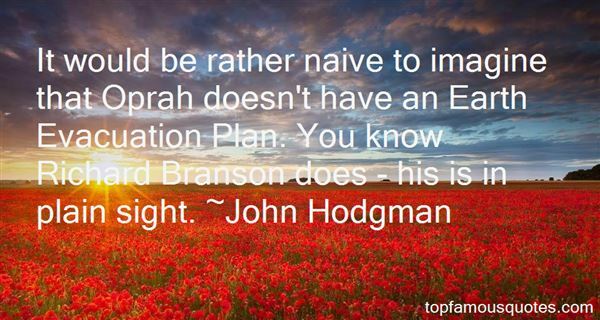 You know Richard Branson does - his is in plain sight." 3. 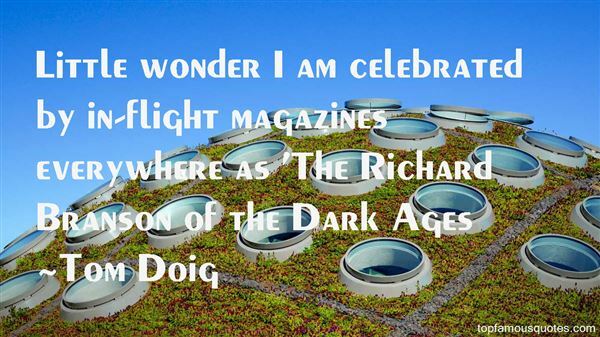 "Little wonder I am celebrated by in-flight magazines everywhere as 'The Richard Branson of the Dark Ages"
You measure a democracy by the freedom it gives its dissidents, not the freedom it gives its assimilated conformists."